THIS MONTH AT BETH ISRAEL JUDEA! Friday, April 5: Shabbat Shelanu 5:45pm – Tot Shabbat, 6:30pm – Pot Luck dinner, 7:15pm – Family friendly musical service. Great fun for all ages to welcome the Shabbat! For April, we will be at B’nai Emunah in the Sunset. Saturday, April 6, 8:45am: Torah Study Join Rabbi Gottlieb for bagels and coffee, as we study the Torah portion of the week. Saturday, April 6, ~10:00am: Shabbat Morning Service Join us for a warm and intimate service, filled with music and learning, led by Rabbi Gottlieb and BIJ members. 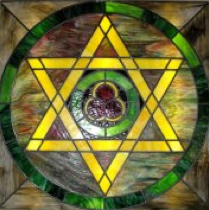 Friday, April 12, 7:30pm: Sacred Hebrew Chant & Drum This joyful, contemplative service combines communal chanting and meditation. Please bring a dessert to share. Saturday, April 13, 8:45am: Torah Study Join us for bagels and coffee, as we study the Torah portion of the week. Saturday, April 13, 7:30pm: Havdalah and Earth Day movie “Love Thy Nature”, narrated by Liam Neeson. Sunday, April 14, 1:00pm: Craft & Schmooze Enjoy good company and conversation with your handwork project! Wednesday, April 17, 4pm: Kashering the Kitchen for Passover. Learn the fine points of kashering a kitchen from Rabbi Gottlieb. Thursday, April 18, NOON: Lunch & Learn at BIJ! 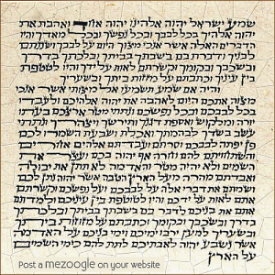 Friday, April 19: FIRST NIGHT PASSOVER SEDER – NO SERVICE AT BIJ – CHAG PESACH SAMEACH! Saturday, April 20, ~10:00am: Pesach Shabbat Morning Service Join us for a warm and intimate service, filled with music and learning, led by Rabbi Gottlieb and BIJ members. Saturday, April 20, 6:30pm: BIJ Communal Seder! Please make your reservations at this website under the “Registration & Payments” tab, or call the office. Sunday, April 21, 10:00am: 2nd Day Pesach Morning Service will be held at B’nai Emunah in the Sunset. Sunday, April 28, 9:00am: Volunteering at San Francisco Food Bank Children 4 and up are welcome with adults. This is a great time for the whole family to participate while the kids are on break from school. (RSVP is not necessary but you can contact Lori Ganz (415) 606-8727 or ljganz@yahoo.com so we can look for you in the crowd. ).